100% Sangiovese. 16 to 20 months aging in wood. At least 6 months aging in bottle before release. Made around 7000 bottles. Once our Sangiovese aged for at least 14 months, a first selection of wines made exclusively from grapes grown in Borghetto. The finally selected Sangiovese is Bilaccio and comes from all corners of the estate, some vineyards contribute more than others, but all come together to create a wine that truly reflects Borghetto's vineyards and terroir, and Borghetto's way of winemaking and its people. Personal note: The Bilaccio had actually also be a top Chianti. It started with the bottle. 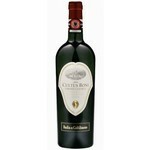 Previously, there were not really rules the shape of the bottles for Chianti, and Antonio Cavallini chose to use a "burgundy" type. 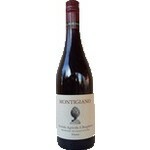 Later Chianti for more burgundy form put forward as standard. But also in the uniqueness of making the wine offers the IGT / IGP typing more freedom. So here is more bound to interpret its own way of Sangiovese than the niceties of Chanti, resulting in my opinion a top wine. Can be drunk now but saves easily 10 years. 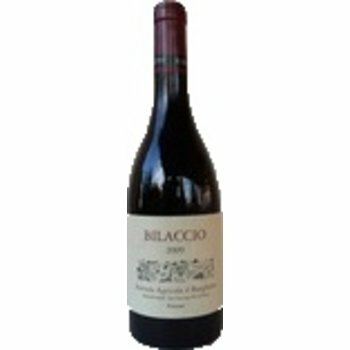 It is advised to open the bottle an hour before drinking it all in order to fully enjoy the nose and palate.